The state of Colorado offers 300 days of sunshine, nature, skiing, and if you’re 21 … you can buy the green stuff! The wonderful state of “Colo-RAD-oh” offers 300 days of sunshine, mountains, nature, skiing, the Broncos, and if you’re 21 years of age or older you can purchase the green stuff at any state-licensed retail marijuana shop. Here’s some info about their pot laws to take a look at, so you’ll be more informed when you arrive. CNN reported Colorado as being the first “state in the nation to open recreational pot stores and became the first place in the world where marijuana will be regulated from seed to sale.” CNN also mentioned pot is the third most popular “recreational drug” in the running with alcohol and tobacco. For possession of 1 oz or less of marijuana or hash concentrates, there is no penalty as long you are 21 years or older. More than 1 oz is a petty offense along with open and public displays and possession of paraphernalia. You can get fined with community service and a maximum fine of $100 dollars. Don’t drive while under the influence, but you should know that if you’re transferring 1 oz or less for “no remuneration” and are 21 or older there’s no penalty. “Possession of more than 2 ounces of marijuana is a level 2 drug misdemeanor, punishable by up to 1-year imprisonment and a fine not to exceed $700” not to mention “failure to appear in court is a Class 3 misdemeanor, which is punishable by up to 6 months in jail and a fine of up to $750.” Fines and penalties just go up from here. When you grow pot in your Colorado home you’re only allowed to have six plants and only three of them can be fully grown. The other three have to be in earlier stages of development or else! You can read an article about what Colorado’s Governor Hickenlooper thinks about marijuana legalization here. To see all the statutes about legal marijuana, both retail and medical, visit the National Organization for the Reform of Marijuana Laws, Norml, website. 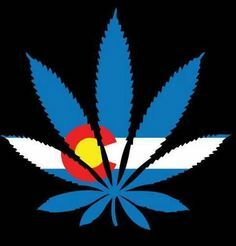 What do you think of Colorado and its marijuana laws? Let us know on social media or in the comments below.